Boost funding, online giving and other resources are awarded to qualifying fundraising campaigns based on medical diagnosis, financial challenges, residency (currently Cass County, ND and Clay County, MN) and fundraising activities. Applications are reviewed weekly. Funding is prioritized for individual/families burdened by substantial expenses due to a catastrophic medical condition. Online Campaign: Applications for boost funding and other resources may be submitted at any time. 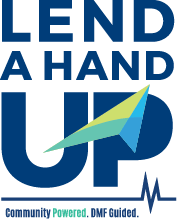 If approved, Boost Funding is awarded based on online gifts made through lendahandup.org, effective upon approval date (90 day maximum campaign). Gifts raised through other sites or by cash/check are not eligible. Benefit/Events: Applications for boost funding and other resources must be submitted at least 30 days in advance of a scheduled benefit/community event (event must be open to the public). If approved, Boost Funding is awarded based on online gifts made through lendahandup.org, as well as cash and check gifts deposited into an established benefit fund, effective upon the formal approval date (90 day maximum campaign). Gifts raised on other online sites are not eligible for boost funding awards. Note: A benefit/event may be added to an online campaign while in process without needing to submit a new application as long as event information is received and approved before the end of the 90 day campaign. Part 2 of the application requests information about the medical hardship, to be completed by the individual or parent/guardian who will receive proceeds from the fundraising campaign. Please review the eligibility checklist HERE or at lendahandup.org/apply-for-help/ before proceeding with the Lend A Hand Up Application. All requirements must be met for the application to be considered and approved. You must have the following information available to complete the application. Please forward documentation to the Lend A Hand Up office. Information about the life threatening and/or incapacitating illness or injury that limits activities of daily living and results in substantial out-of-pocket expenses of $5,000 or more. Documents verifying medical diagnosis/condition and provider (letter from doctor or discharge statement). Note: Expenses may reflect paid, billed and estimated costs for the past and/or future 12 months. Billed and/or paid medical expenses may be determined by requesting a report from a clinic/hospital or pharmacy showing your self-paid total for the past 12 months. Future expenses may be estimated based on treatment plans, deductibles, copays and coinsurance. Contact your insurance company and/or the customer service department of the clinic/hospital for assistance. If you'd prefer to print and complete an application on paper, do not use this form; instead use the attached printable PDF application. To forward documentation or if you have questions about required information and guidelines, please contact the program office: jpeinovich@dakmed.org or 701-356-2661. Fax: 701-271-0408. Share information about the life threatening and/or incapacitating illness or injury that limits activities of daily living and has (or will) result in substantial out-of-pocket expenses of $5,000 or more. Complete the table below identifying $5,000 or more of billed and/or estimated out-of-pocket expenses related to medical care and/or rehabilitation. Only note amounts the individual/family is liable for such as medical bills and prescriptions not covered by insurance, monthly premium expenses, travel & lodging costs for out-of-area care (may include companion), etc. NOTE: Billed and/or paid medical expenses may be determined by requesting report(s) from clinic/hospital/pharmacy. Request a current balance and a self-paid total for the past 12 months. Future out-of-pocket expenses may be estimated based on treatment plans, copays, deductibles, coinsurance, etc. Contact your insurance company and/or the business office of the clinic/hospital for assistance. (Optional) - Non-Medical Expenses Increasing Financial Hardship Due to Medical Condition and Lost Wages. Example: mortgage/rent, food, daycare, auto, etc. If a Lend A Hand Up representative has not confirmed that your application was received within 3 days of submission, please contact the program office.